Less than 2 hours by car from London, Brighton is one of the most beautiful but still less known cities in the United Kingdom. The national tourists know it well, since the great part of the tourism of this city is English. However, Brighton has endless possibilities to contribute to anyone who decides to visit the south of England to enjoy an atypical city. Brighton is a city that we can visit at any time of year, but without a doubt the star station is the summer where the city fills with color, festivals, music and atmosphere. It is also one of the largest and best-known coastal cities in the United Kingdom. It has a long promenade and a beach, although it is not of fine sand, it is magnificent to forget that you are in cold Britain. Its climate is warm, arriving in summer at 25-28 degrees. This makes it a very popular destination with more than 8 million visitors per year. It has a large number of hotels of all categories, varied restaurants, shops and places of leisure that make it an ideal place to spend a few days of rest. The truth is that there is enough atmosphere in this coastal city, many university students and many young people study English here. I discovered it by chance, since my brother went with an Erasmus scholarship to study there and I could not pass up the opportunity to know these places. 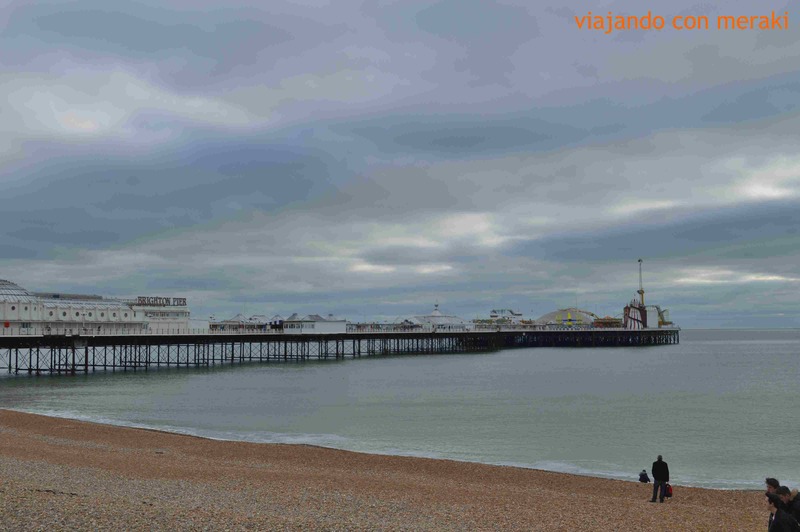 Brighton offers visitors an extensive list of things to do, including summer activities that overwhelm the inhabitants and visitors of the picturesque city every year. Shopping is another claim as the street markets flood the main streets and the promenade of the city. 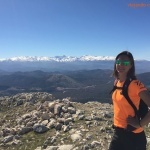 Personally, I flew to the London Gatwick airport (which is the best I came to be south of the city), rented a car (knowing that I would have to drive on the left) and in less than 45 minutes I was knocking on the door of Homero’s house. Here I leave the main attractions of the city and its surroundings. 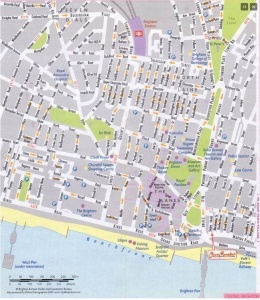 What to see in Brighton? When you think of a city in the south of England, you never think that you will find something like this. The Royal Pavilion was the former summer residence of the English kings. 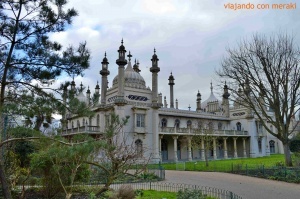 King George IV chose Brighton as his family’s summer destination, he built this palace in 1815, and since then dozens of kings have passed through this wonderful and impressive building, inspired by the palaces of the Hindu dynasties. 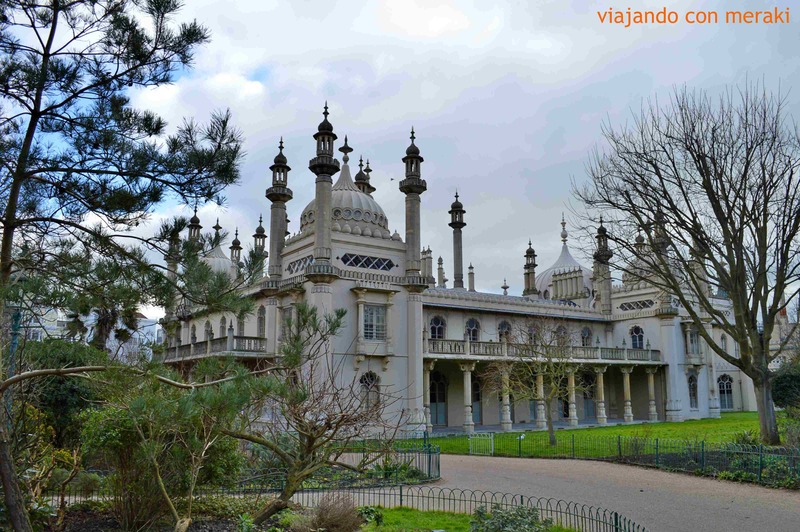 The Royal Pavilion is the main landmark of Brighton and its most famous symbol. Its architecture is a mixture of styles but the Hindu style stands out. It is surrounded by impressive and immaculate gardens. This museum is located in the rooms of the Royal Pavilion and houses several permanent exhibitions of painting, art and natural history. 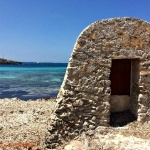 Depending on the time you visit, you will find some exhibitions or others, but it will not disappoint. The Brighton Pier is one of the most touristic places of Brighton and of the south of England, that is why it is always full of people. Dozens of attractions, restaurants and facilities await us at the Brighton Pier. One of the things that caught our attention is that this place is full of machines, similar to slot machines, that work with money. I do not know the degree of gambling that the English have, but judging by what is there and what we saw, I think they need a therapy hehehe. This pier on the sea is very pleasant to walk around and is always full of visitors and seagulls everywhere. I would say in equal quantity. 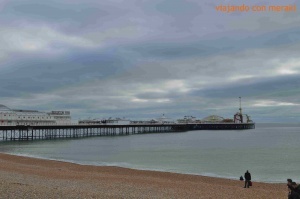 Another of the most characteristic places of the city, past the Brighton Pier, is a small amusement park on a pier. It is ideal to spend a day with children as there are many activities where the little ones will enjoy. Brighton beach is the core of summer in the city. Hundreds of visitors flock to the “sand” of the long Brighton Beach to enjoy the rare British sun. It is not fine sand like most of the beaches we know but the English make the most of it to tan or take a dip (the more daring ones because the water is quite cold). The promenade is one of the most frequented places in the city and around it there are lots of shops, activities, bars and restaurants of all kinds (even a bike path if you want to do some exercise). Pay attention to the buildings that are on the beachfront, next to the promenade, because they are beautiful: old, elegant and stately. 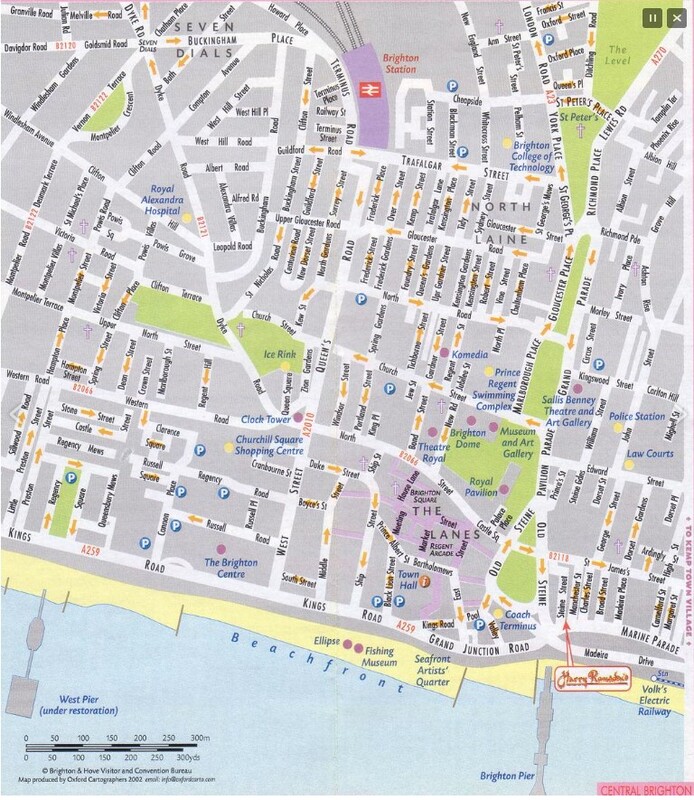 Where to eat in Brighton? The Post & Telegraph: English restaurant-pub with authentic local food. Since we are here, what else can we visit? You can not go to Brighton without going to the area of ​​the Seven Sisters. We went in the car we rented, but there is also a public bus from Brighton to access this place of exceptional beauty. 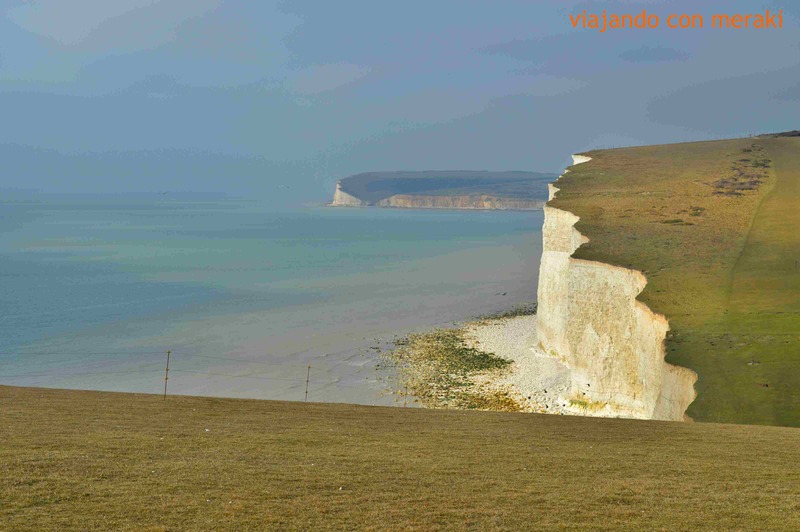 The Seven Sisters are a series of chalk limestone cliffs located in the Channel. They are part of the South Downs in East Sussex and are within the Seven Sisters Country Park. They are the remains of dry valleys in the chalk of the South Downs, which are slowly being eroded by the sea. The Seven Sisters cliffs are occasionally used in movies and television productions as a substitute for Dover’s most famous white cliffs, as they are relatively free of anachronistic modern developments and are also allowed to erode naturally. As a result, the Seven Sisters and Beachy Head are still bright white, while the white cliffs of Dover are protected due to the important port and therefore are increasingly covered by vegetation and turn green as a result. These cliffs appear at the beginning of the movie Robin Hood: prince of thieves. Another highly recommended getaway in your trip through this area is the amazing megalithic city of Stonehenge: the magic circle of stone. 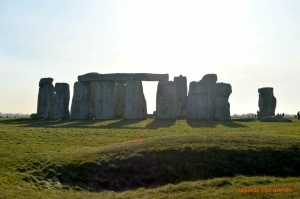 It is the most spectacular monument of an extensive menu of prehistoric monuments that dot the entire region and make up a thematic unit that is presented as a set by the English Heritage entity, which manages the county’s heritage. 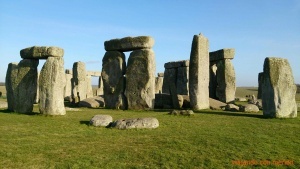 In fact, the entire area of ​​Salisbury Plain in Wiltshire has been declared a World Heritage Site, due to its abundance of Neolithic structures and the Bronze Age. We left by car from Brighton in the morning and made a stop halfway in Southampton to regain some energy. We took a walk through the beautiful center and took the opportunity to discover a French coffee shop with some very good home-made sweets that we loved located on the high st but I can not find on the map … it should have closed. At a scant HALF hour, we finally found Stonehenge. This complex has a large parking lot at the entrance and the entrance is made by the visitors center (with its shop, its restaurant, etc …), located a kilometer and a half from the megalithic monument. It is a large building that, due to its modern design, tries to integrate itself into the landscape. Given that to visit Stonehenge you have to book an hour in advance, I advise you to get to this visitor center with enough time to visit the aforementioned room, where you will have interesting information prior to your visit (we went without reservation and got a ticket for the hour next, but it’s also true that we went in the off season). 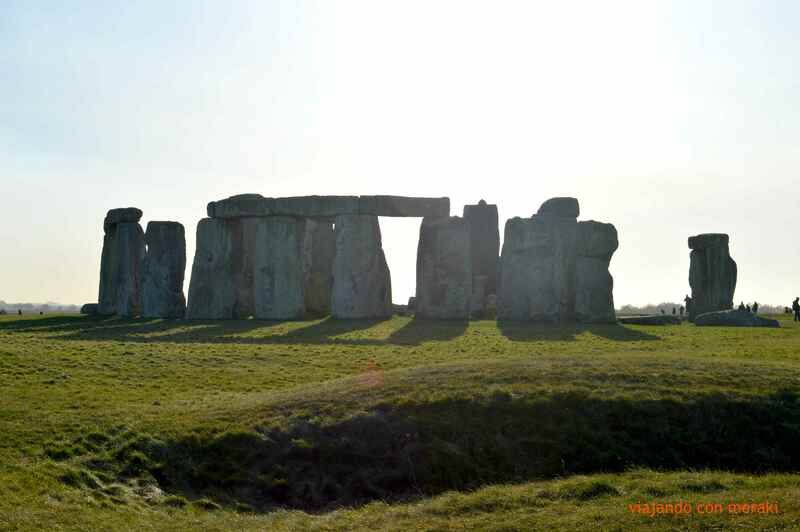 The visiting hours of Stonehenge are, in summer, from June to August, every day from 9 a.m. to 8 p.m., with last access two hours before. In the rest of the year it opens at 9.30 am, and closes at 5 pm in winter, and at 7 pm in the remaining months. Ticket prices (2015) are: adults, 13.90 pounds; children from 5 to 15 years old, 8.30 pounds; and students and seniors + 60, 12.50 pounds. There is a minibus that takes you from the visitor’s center to the monument, but I recommend you do it, at least or the round trip, on foot. We went walking but on the way back it started to rain and we saw that there was this service. As soon as you enter the complex you can see outside a replica of Neolithic huts that try to evoke how they lived 4,500 years ago in this area of ​​Great Britain. The rocks of Stonehenge are in the middle of nowhere, in an esplanade exposed to the winds and without any protection of trees or mountains. Therefore you have to take warm clothes almost all year round since except on the hottest days of summer, the cool breeze (or freezing) almost always blows. If you go for walks on the roads of the ruins complex wear good shoes, better if they are waterproof boots and do not forget an umbrella or waterproof clothing if there is a risk of rain. Unfortunately, access to the interior of the stone circle is restricted and most tourists have to settle for seeing it up close but behind a rope fence that marks the limit of proximity. 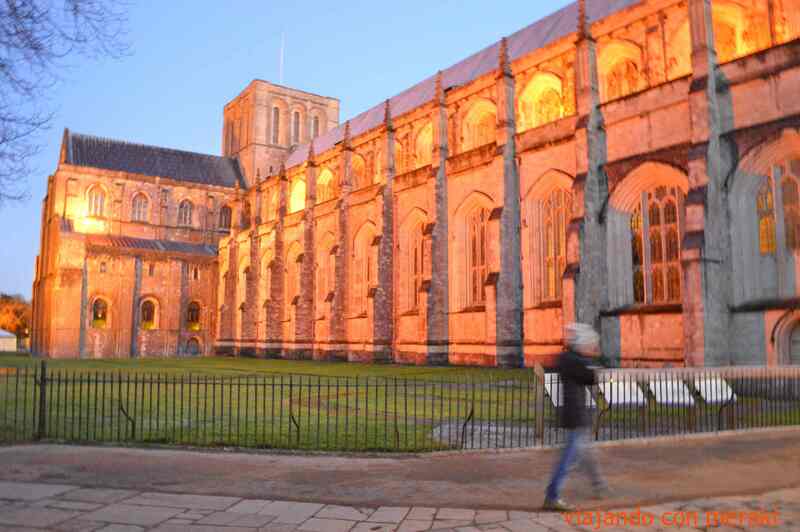 There is an organized visit that is made from Salisbury by the English Heritage entity that does allow access to the interior of the stones during special hours of the morning or afternoon. On the way back we stopped in the city of Winchester, with a renowned university, you can breathe in the atmosphere that university spirit with a beautiful architecture. Well worth a visit. Here I recommend eating at The Old GaolHouse, also with typical English food in a very British atmosphere. 100% recommendable. Do you want a DISCOUNT in your next hotel? 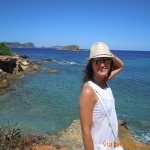 Use this LINK and you'll get a 10% discount in BOOKING.COM!